Bees are amazing creatures. They produce a wide variety of substances, many of which have been found to have great health benefits for not only the bees, but humans as well. Bee keeping and Apitherapy has been done for thousands of years, dating back around 6000 years ago. Apitherapy is the use of bee products honey, propolis, bee pollen, and royal jelly for healing. Many people are curious as to these health benefits reported by thousands of people and, most notably, by bee keepers themselves. With the variety of bee products out there it can be confusing to know what the difference is between them, what their health benefits are, and which product is best for certain health issues. Since this website is focused on fertility, I am only going to list general information on the differences between Royal Jelly, Bee Pollen, and Bee Propolis and their health benefits in relationship to fertility and fertility issues. Royal Jelly is a substance that is secreted by nurse worker bees’ glands. The secretion is known as royal jelly and it is the main food source for the first 3 days of the larvae. One larva that is to be the Queen Bee is fed only royal jelly its entire life. This exclusive feeding triggers the full development of her ovaries, which is needed to lay the millions of eggs she will lay in her lifetime. The Queen matures in 5 days and weighs double that of a worker bee. A worker bee only lives to be 30-45 days old, but the Queen bee lives to be 5 to 6 years old. The queen also lays in one season around 250,000 eggs and in peak season she may lay up to 2000 eggs a day. This may have something to do with the extremely high nutritional content of the Royal Jelly, which is this Queen’s exclusive diet. Royal Jelly is rich in amino acids (29 to be exact), lipids, sugars, some vitamins, fatty acids and, most importantly, proteins. It contains ample levels of iron and calcium. Royal Jelly also contains acetylcholine, which is needed to transmit nerve messages from cell to cell. Regular consumption of high-quality Royal Jelly has been shown to help balance hormones. This makes it beneficial to those individuals that suffer from a hormonal imbalance, as it helps to provide support to the endocrine system. It may also help with problems that are related to hormonal imbalance. A study done in Japan and published in 2007 shows that Royal Jelly has the propensity to mimic human estrogen, which may help those that suffer from low estrogen levels. Estrogen is essential for healthy bone formation and healthy gene expression, and is vital for a healthy menstrual cycle. This study also showed potential for increased size of uterine cells in the rats studied. While there may need to be more studies done to show the full potential of Royal Jelly consumption on uterine health, this shows exciting potential for women with weak uterine muscles or thin uterine lining due to long-term hormonal birth control use. As worker bees leave the hive for the day, they go out and gather bee pollen and bring it back to the hive. They pack the pollen into granules with its own enzymes and some honey or nectar. Keep in mind that, for each pack of bee pollen sold, each one may be vastly different and this is because of the environment in which the bee was collecting the pollen. Different flowers contain different chemical constituents unique to that flower. Some bees are kept near farming areas that only contain one kind of flower rather than a diversity of them. So to obtain a wide variety of benefits from the bee pollen, you will want to choose one that is from either a local organic source of wildflowers or an organic farm. Choose only high-quality bee pollen. If you choose one that you are not sure of, call the company and ask them what kind of flowers the bees are visiting each day. Is the source organic or wild? If not, if they are near an industrial farm, your pollen has the potential to contain harmful chemicals like pesticides, herbicides or fertilizers. All of these are known to contain endocrine disruptors, which are linked to fertility problems. Because bee pollen varies from source to source depending on time of year, location, etc., it is hard to pinpoint exact nutritional benefits as they may be different with each batch. Bee pollen does contain vitamins, minerals, antioxidants, proteins, and amino acids. It is said that bee pollen contains antihistamine properties, which may reduce allergies. Bee pollen has been reported to have great results in boosting immunity and fertility for both men and women, reducing allergies and boosting overall nutrition, as well as having healing benefits for a variety of other health conditions. Bee Propolis is a resinous mixture of tree sap, tree buds, tree leaves, and other botanical sources that the bees make to seal small openings in their hives. Larger openings are sealed with beeswax. Once again the chemical constituents of bee propolis vary by region because different plants live in different climates. A study published in Fertility and Sterility (2003;80:S32) showed that 60% of women with endometriosis-related infertility who took 500mg of bee propolis twice a day for 9 months became pregnant as opposed to 20% in the placebo group. Endometriosis pain, scar tissue, and adhesion formation are thought to be triggered by an inflammatory response. Bee propolis has been shown to be extremely anti-inflammatory which may reduce endometriosis. It appears more research on the benefits of bee propolis are in order. Because preliminary studies suggest its highly anti-inflammatory properties, it may be greatly beneficial for fertility issues that may trigger inflammation responses such as uterine fibroids, endometriosis, ovarian cysts, blocked fallopian tubes, Pelvic Inflammatory Disease (PID), and reproductive trauma or surgeries. Bee propolis may also contain immunomodulating properties. This may be beneficial for autoimmune related fertility issues, such as recurrent miscarriage due to an immunological response (mothers body attacks and rejects the fetus), autoimmune-related Premature Ovarian Failure and antisperm antibodies. Antisperm antibodies can be present in women as an allergic reaction to sperm, thus triggering an immune response to attack the sperm. These antisperm antibodies can also be present in men as well, where their bodies attack their own sperm. This is commonly seen in up to 70% of men who get a vasectomy. Be sure that you are choosing high-quality products from a reputable source. This is very important not only to you, but to the health of the bees. As you may well know bees are rapidly declining and much of this is thought to be linked to environmental pollution. Choose to support organic, free-range, biodynamic farming and bee-keeping practices when possible. Your choices make a difference! Take the time to learn more about bees and how they sustain our food chain; without them we might perish. There are some great documentaries out there on Colony Collapse Disorder, the lives of bees and how they are on the brink of total collapse. Please keep in mind their vital role in our daily lives! Our Natural Fertility Shop has your choice of Royal Jelly which is pure Royal Jelly, freeze-dried to maintain quality. We also carry Active Bee Power which contains a wonderful blend of these 3 bee products as well as some immune boosting herbs. This company has been certified organic since 1995. It is extremely important to note that if you are allergic to bees or honey, you should avoid all bee products. Side effects and reactions can include minor to severe skin irritations, difficulty breathing or even anaphylactic shock. If you begin to develop a reaction to any of these products, discontinue use immediately. Do not feed to infants under 1 year of age. Do not use bee products during pregnancy if either side of your family or the father’s family has a history of bee allergy as this may affect the baby. Lewis, Randine, Ph.D. (2005). The Infertility Cure: The Ancient Chinese Wellness Program for Getting Pregnant and Having Healthy Babies. New York: Little, Brown and Company. I am not too familiar with this product, but it looks to be fine. I am not sure what “though remaining less than 10” means. I have a quick question, I’ll been consuming the Montana Big Sky bee pollen royal jelly and propolis capsules. I have been consuming then for 3 months, then stop for about 2 weeks then consume them again. I understand that it contains iron and was wondering if this might cause my stool to be black? I will be checking with a doctor. But, would love another opinion. Please reach out to the makers of this product. If the change in stool color correlates with when you take or began taking the product, it could be related. They are best able to answer questions about their product. I am taking an iron supplement and fish oils along with a Royal Jelly Honey that includes all three of these. Should I stop taking the iron and fish oils as it seems all are included in the honey? That would depend I guess on how much iron you need, or if by taking both you are staying within the recommended daily dose of 18 mg for women ages 19-50 (not pregnant). Fish oils are not in bee products, so a fish oils supplement is fine to take with the Royal Jelly Honey. Fertilica Royal Jelly can be taken with a whole food multivitamin and Fertilica Cod Liver Oil. This is just fine! Please, I need full pdf copy of this beautiful article. Thanks. When this article in open in your internet browser, you can then go to File -> Print -> and select to print as a PDF file. We do not publish or share our articles as PDFs. I hope printing it that way works for you. Can you take Alive Bee Power while pregnant? Active Bee Power (the name of this product recently changed) is not suggested for use in pregnancy, nor are any bee products typically. When is the best time of the month to be having these products or do you need to have it all through the month? Royal Jelly, Bee Pollen and Bee Propolis can be taken through the entire menstrual cycle (all month) long without taking a break. Where can i find fertility herbs in South Africa? Fertilica Brand products and kits are available from the Natural Fertility Shop. They can ship to South Africa. I am sorry I am not aware of where you can find fertility herbs where you live. Is it safe to take bee products, e.g. propolis, bee pollen and royal jelly, with DIM? DIM can be taken with bee propolis, bee pollen and Fertilica Royal Jelly. I recently purchased Active Bee Power Royal Jelly and realized that it contains other herbs like ginseng etc. I am not sure if it’s safe to continue to take it after ovulation if I’m TTC. Also, is it safe to take it with Fertile Woman One Daily multivitamin, Maca and FertiliGreens? Thank you! Active Bee Power Royal Jelly can be taken all cycle long in preparation for pregnancy and while trying to conceive, as can Fertilica Maca, FertiliGreens and Fertile Woman One Daily Wholefood Multivitamin. Each of these can be taken together as well. Each is best discontinued upon first determination of pregnancy after which there are a variety of Pregnancy Products one can consider using in pregnancy. I’m interested in adding bee products to my fertility-boosting regimen (unexplained, but my doctor strongly suspects endometriosis). Could you tell me if something like the Active Bee Power blend would be safe to take while also taking Clomid? Active Bee Power Royal Jelly contains Royal Jelly which is known to support endocrine system health and has been shown to help balance hormones. It is because of this action that we can not suggest Active Bee Power Royal Jelly with medications that have an action on the hormones including Clomid. It would be best to speak to your healthcare provider about your interest in taking this product to receive his guidance in taking it with your medication. If you hare not already read our article, What About Unexplained Infertility?, it may offer helpful guidance too. What is the difference between all the “bee” products? Royal Jelly, Bee Propolis, and Bee Pollen – they all sound so similar. Thanks! Each section of this article explains what each bee product is, where it comes from and the purpose it serves. The benefits may be similar, but where each one comes from is different. Royal Jelly – is a substance that is secreted by nurse worker bees glands. Bee Pollen – As worker bees leave the hive for the day they go out and gather bee pollen and bring it back to the hive. They pack the pollen into granules with its own enzymes, some honey or nectar. Bee Propolis – Bee Propolis is a resinous mixture of tree sap, tree buds, tree leaves and other botanical sources that the bees make to seal small openings in their hives. I hope this helps. It may also be helpful to read through the article again. Thanks for your question! Oh! ANd can you use maca while pregnant? Here is a recent Q&A I did on the subject. Regardless, you must get your doctors approval before choosing to take this during pregnancy, there is not enough research for us to say it is safe for sure. Q: Is Maca safe to take during pregnancy? Does it have toxic effects on my baby? A: Most nutritional supplements as well as herbal supplements are not suggested for use during pregnancy. Many herbs and supplements should not be used in pregnancy, but this is not true for all of them. This caution statement protects manufacturers from liability in case something adverse happens to the mother or baby during pregnancy while using the product. This caution also alerts the user to the potential for adverse effects. In some cases this caution is a generalization and the risk is relatively low. Manufacturers can not know the potential risks for each individual consumer, so putting a caution on the product makes it safer for consumers in general, minimizing risk to the mother and baby by having them not use the product at all. Maca has been used for thousands of years by the peoples of Peru, and they eat it daily; even during pregnancy. Acute toxicity and cytotoxicity studies have shown no potential toxicity for Maca. Hundreds of thousands of people have used maca with no reported side effects. Foods like processed soy have shown to have adverse effects on the developing fetus as well as the mothers hormonal balance due to phyto-estrogens. Maca does not contain hormone like substances like soy or other plants containing phyto-estrogens. We really have to think about other foods we consume daily like soda with aspartame, preservatives or food dye, all of these effect our bodies adversely, but they are deemed “safe” for regular use. Maca is a superior food as far as nutritional value goes, so why would this plant be a poor choice for pregnancy? Most maca is also organic. Because it is considered a nutritional supplement and herbal supplement it is still advised that you get permission or talk to your health care provider about using Maca into pregnancy. It is always best to be on the safe side and let your healthcare provider know all herbs and supplements you are taking, especially if you are pregnant. Can you take royal jelly when breastfeeding? If you or your husband has a bee allergy on either side of your family it is best to avoid bee products until you are done breastfeeding. Infants are sensitive to allergens during breastfeeding, so it is best to get the approval of your health care practitioner before taking this during breastfeeding. I am grateful for the info. on royal jelly, bee pollen etc. I think that it is time for me to resign myself from getting pregnant There are too much odds against me and each month when I think that yes it is happening, I get a fat zero. I can’t keep putting myself through this stress so its time to let it go. If and when it happens I will embrace it but …. Listening to your body is important! If you need to take a break from tracking your fertility, then that is probably what is best for you! 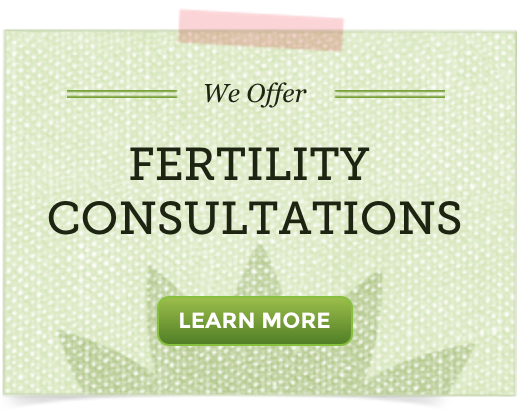 If you ever need support, you may want to join our Natural Fertility Community! Thanks for the good work you have been doing to help those in need, please I wants to know this product can source locally in Nigeria. I have no idea if they sell bee products in Nigeria. Please ask around your local market. We do not ship to Nigeria, sorry for the inconvenience. this lesson is a wonderful one which i had not known .